Today's cyclist is the instrumented cyclist. Electronic shifting, power meter, cadence sensor, performance monitor, smartphone, GPS -- all connect without ugly, clumsy, fragile wires, thanks to the world-standard ANT+ communications protocol. Go for the best! 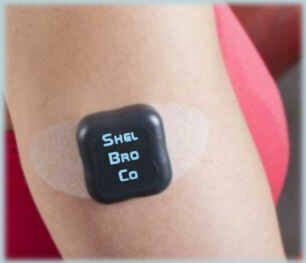 Ask your doctor about the ShelBroCo ImplANT+ sensor. Good for a lifetime! You'll never forget and leave it at home! 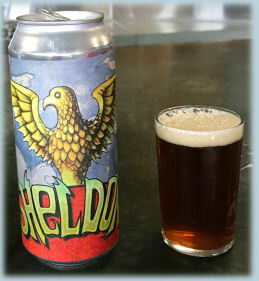 Boomers: if your cardiologist says "no," say ShelBroCo! 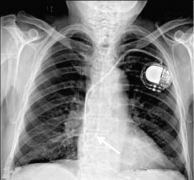 Don't settle for a run-of the mill pacemaker. Our unique, world-patented ShelBroCo ANT+ Pacemaker keeps track of all of your vital signs. 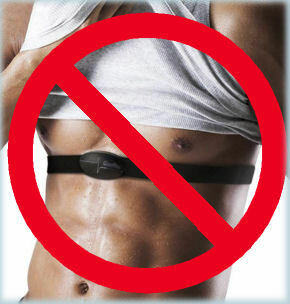 Heart rate is wirelessly adjustable for sprints. Get the jump on competitors by boosting oxygen transfer before the climb. The ShelBroCo ANT+ Hydration-Infusion System is available in Backpack and Emergency versions. Both communicate wirelessly with your ShelBroCo ANT+ Sensor or Pacemaker to replenish electrolytes in the perfect quantities for peak performance and recovery. No more guessing! By special arrangement with our pharma supplier, 3Cross Fermentation Collective. Recommended only for use in the Backpack version of the Infusion System. Results may be unpredictable with the Emergency Version, and so our Standard Saline/Electrolyte Fluid as shown in the illustration to the right above is recommended for that application. ShelBroCo sensors conform to the worldwide ANT+ standard and interface perfectly with cell phones, performance monitors, GPS devices and our patented ShelBroCo hydration/infusion system. I mean, like, really! Compared with the piercings and tattoos, it's nothing! A real winner when tackling the hills on my fixie! My adrenaline level told the story, and that's how I developed the lowest-stress route for my commute! I can't tell you how excited I am to run for President, but my ShelBroCo Sensors can! *There is a tiny pin prick. Guaranteed for the life of the user, or two weeks, whichever comes first. Void where prohibited, prohibited where void, keep away from children and animals, use only with adequate ventilation. Note: Misuse of this product may lead to death or even serious injury! 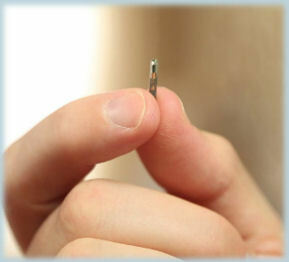 ImplANT+ sensor or Pacemaker is to be installed only by a trained medical professional. Any implanted device carries the risk of infection, rejection, malfunction, dysfunction, lost connection and unauthorized data collection. Automated infusion system may fail, resulting in hypoxia, hypoglycemia, hypotension, hypertension, hypernatremia, hyponatremia, hypokalemia or hyperkalemia. Pacemaker may fail, resulting in bradycardia, tachycardia, macrocardia, stenocardia, diplocardia or leptocardia. See your doctor if you experience any of these symptoms. Sheldon Hydration-Infusion Fluid Available from 3Cross! and at these locations. NOTE:ShelBroCo Sensor products can be shipped only to a valid postal address! ImplANT+, Pacemaker and Emergency Hydration-Infusion Systems may be shipped only to a licensed medical provider. Not shippable to any Web site, e-mail, Facebook, Twitter or other vaporware address! Shipping (USA) (1-100) Zone 1 $99.95 Zone 2 $159.95 Zone 3 $199.95 Zone 4 $259.95.Zone 5 $599.95. Shipping to Alaska and Hawaii, and outside the USA: by arrangement. Image Credits: ANT+ logo: thisisant.com. Heart rate belt: myfitness.com.co Tape-on sensor: diabetesresearchconnection.org. Implant held in hand: Biohax International. Pacemaker x-ray: Stephanie C Torres-Ayala, Guido Santacana-Laffitte, and José Maldonado licensed under the Creative Commons Attribution 4.0 International license. Pacemaker: By Steven Fruitsmaak - self-made, removed from a deceased patient before cremation., CC BY 3.0, https://commons.wikimedia.org/w/index.php?curid=2909069 Backpack: Camelbak. Infusion system: 24x7 magazine. Background: internistsassoc.org.